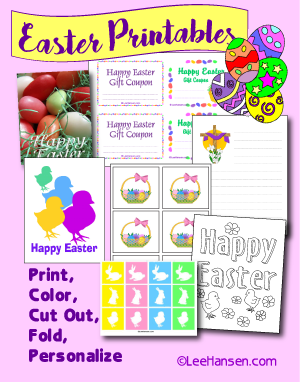 Enjoy our collection of Easter Printables - stickers, gift tags, note papers, iron on transfers, spring party games, greeting cards, cupcake toppers and Coloring Pages. Make your holiday fun, creative and low cost with hand made crafty decorations, cards, labels and table decor. Choose your favorite design sheet (baby animals or Easter basket with eggs) to make cupcake toppers or stickers from these printable sheets. Each sheet prints 12 square motifs, ready to cut out or punch with a 2-inch circle cutter. 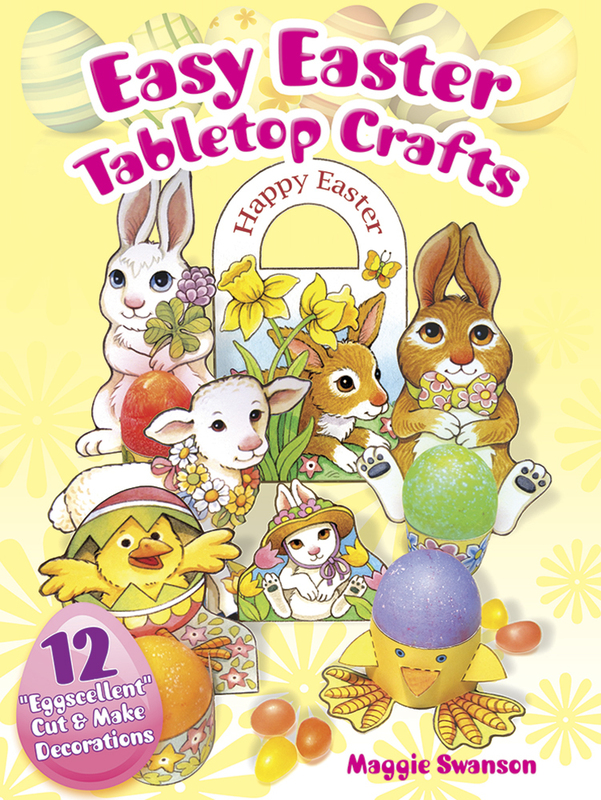 Easter stickers with 5 different designs on each sticker sheet. 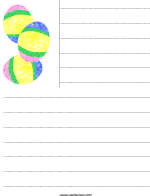 These small paper sheets are decorated with pretty Jelly Beans and Easter Eggs framing the edges. 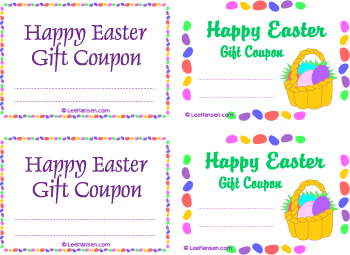 4 Easter coupons per sheet, ready to personalize and tuck into baskets, treasure eggs or greeting cards. You'll just be hopping with delight over these printable Easter coloring pages for party activities at home or in the classroom, or to use for designing your own coloring crafts for Spring activities. 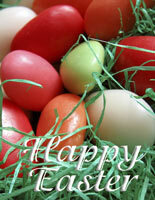 Craft special place mats for all your Easter guests or posters to decorate home or classroom. 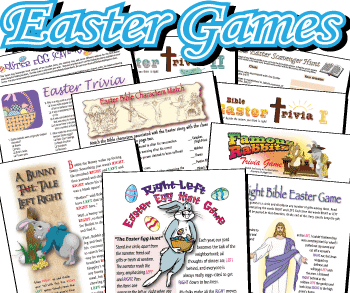 Shop for affordable printable Easter party games.